What does one do with that information? You could do nothing with it. All of us grew up being taught a set of default thoughts that pretty much shape our lives. When you do nothing with the idea that thoughts become things, your life may not look appreciably different than that of your parents. Default thinking explains why children of privileged people become privileged as adults, and children of poor people tend to stay in that world, perhaps improving only slightly generation by generation. Or you could take the information and test it. What if I isolate my personal thoughts and settle on the ones that are not part of the default set? Only when people break the default mold handed to them by their parents do they find themselves experiencing a different sort of life than their default thoughts were capable of producing. So yes, an under-privilege person can be come privileged. A bricklayer’s daughter can earn a PhD and become a college Dean. An immigrant’s child can become President of the United States. A son of a millionaire can become the voice of justice who speaks out for the poor and lifts the aspirations of millions. In each case the person who achieved the unexpected did so by breaking their default thought mold. Thoughts become things. What can you do with this information? Here is an easily applicable strategy. Listen to your own thoughts. Give them credence (believe them). 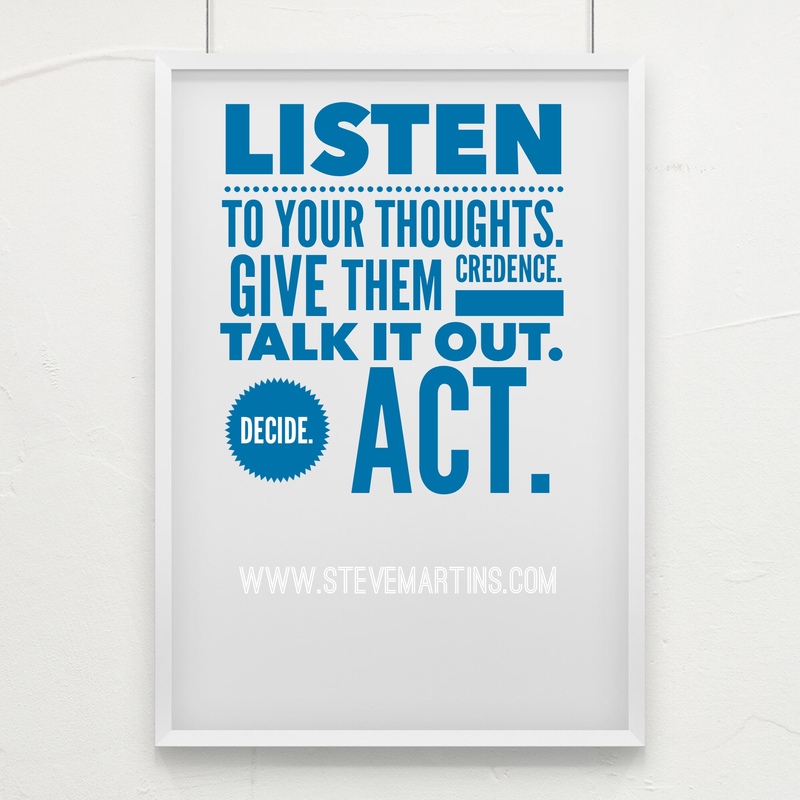 Talk them out with a confidant who also gives credence to your thoughts (a coach). Decide to bring your thought into existence. This is simplistic, yet not simple. Contact me here if you want to learn how a short coaching program can get you on the course you desire for your life.